"Round Blackpool" tells how the idea of touring by tram was developed in the Lancashire resort. "Round Britain" looks at other resorts which ran special tourist trams-Brighton, Torquay, Scarborough, Southport and Southend-plus tourist-oriented lines at Morecambe, Hastings, Llandudno, Rothesay, Weston-super-Mare, and the Giant's Causeway. 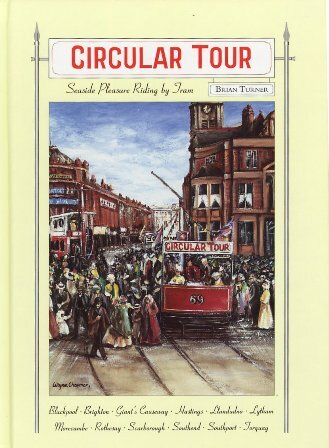 Part Three: "Tourist Vehicles" tells the story of the electric toastrack tram. There is a chapter on Lytham St.Annes Trams.